“Architecture from Copenhagen” studies some elements of the built environment in Copenhagen. Buildings and landscapes from a rather recent era have been chosen since Copenhagen is one of the pioneers in contemporary architecture. The structures were illustrated with outlines while a characteristic element from the structure is used as a background pattern, such as the facades. Currently this series consists of BLOX by OMA, Bella Sky by 3XN, Den Sorte Diamant by Schmidt / Hammer / Lassen, Crystallen by Schmidt / Hammer / Lassen, and Superkillen by BIG / Superflex / Topotek 1. 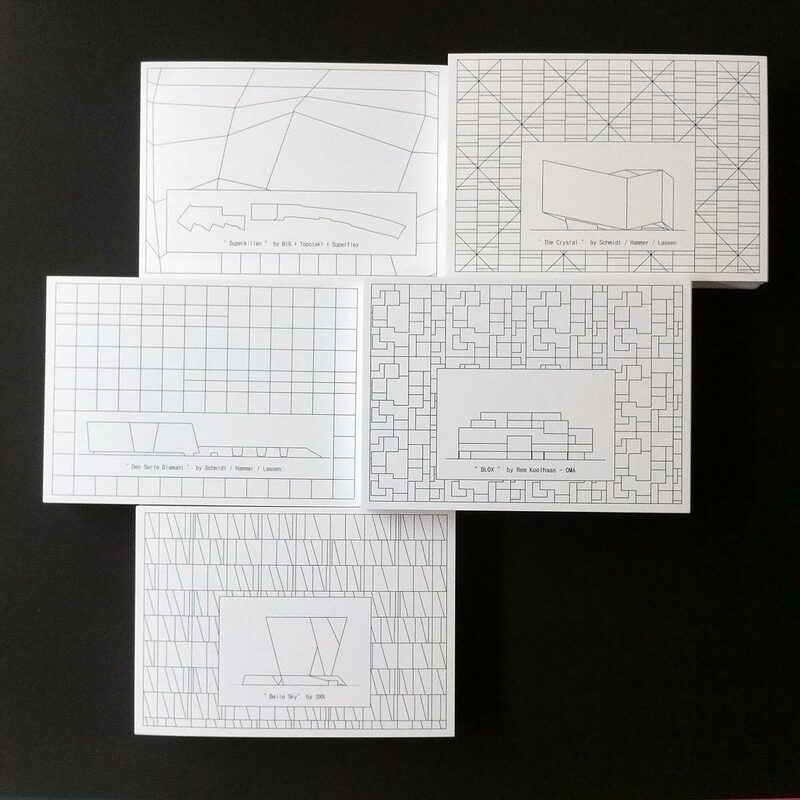 Among these, BLOX postcard was designed specially for Danish Architecture Center Bookshop. Material: 300 gr chromo board, printed digitally in Germany. Designed by Seda Özçetin in 2013 – 2018 in Copenhagen.